•The One Month Course is available for students who would like to take one lesson everyday.You have to pay only $62≒￥6,400 (25-minute). On the other hand, the Ticket Course　students can have one to three lessons in a day for three months. •We are currently accepting payments via PayPal or credit card. 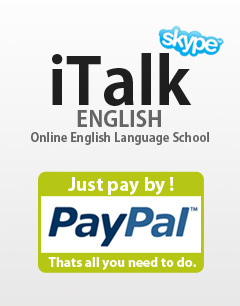 But we prefer PayPal, because it is quick, easy and safe. It allows anyone to send payment within an hour. Pay pal doesn't request you to pay the money exchange fee and the remittance charge. So you need to pay only your tuition. Your credit card number and personal information will be kept safe and secured by PayPal. •In One Month course, students can have three alternatives like one lesson per day ( 25-minute course ), two lessons per day ( 50-minute course ) or three lessons per day ( 75-minute course ).The price of each lesson is cheaper than other courses, i.e., 25 mins. $1.42 ( 75 mins course ) and $2.00 ( 25-mins course). • In one month course, you can book lessons for two days at one time ( two slots for the 25-minute plan and four slots for the 50-minute plan ). • There is not automatic renewal for payments for all Courses. Therefore, if you want to continue your subscription, you have to send your payment after expiration of your period. In the Ticket Course, students can select the date and time of their classes in advance. • Booking lessons are limited to maximum 3 times a day. In this sense, you can freely take lessons based on your own schedule for the period of three-months. •You can use your tickets for three months. If you will not use the remaining tickets, you will lose as the unused tickets. • There is no automatic renewal for payments for the Ticket Course. Therefore, if you want to continue your subscription, you have to send your payment before the expiry date. Unused tickets will be combined with the new tickets but both of them will expire after three months from the date of subscription. •This course is ideal for students who want to improve their speaking ability in a short time. • DME course students require DME course confirmation. • It is possible to take other courses in accordance with the DME course. 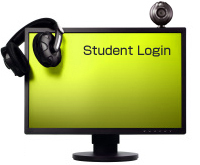 This means that a student can combine the One Month Course or the Ticket Course with the DME Course in one account. • If you want to book a DME lesson, select a DME teacher from the Teachers' Page and then click "Book DME". • DME lessons should be booked one hour in advance to allow teachers to take the time preparing the DME teaching materials. • Students can reserve up to 3 DME lessons at one time. • Because the DME course is not an automatic subscription, you will need to send tuition through PayPal every time the course expires. If there are remaining tickets, these tickets will be combined with the new tickets and will expire in 3 months from the date of payment. - It is not possible for students to take a DME lesson using the One Month Course or the Ticket course. Order button will appear after login.